Strictly Cash presents Football Star keep what you win free spins by Microgaming. Introduced in 2014 during the Fifa world cup, this 5-reel video slot game quickly climbed the popularity chart. It combines your interests in gaming and football to present a colourful slots game of football where there are free spins and you can keep what you win. Play Football Star Which Is One of the Best Keep What You Win Free Spins Game - Login Now! This keep what you win free spins game developed by Microgaming and showcased by Strictly Cash has a football theme. The background graphical layout is that of a football stadium. There are 5 feels and 3 rows populated by symbols of referees, pairs of football boots in red and action shots of players mid-game. So join us and enjoy! The game is built with a 243 Ways to Win. The sound effects are in line with the theme and can hold you engrossed in a thrilling game of slots where you can keep what you win with free spins. The minimum bet that can be wagered is 0.50 and the maximum is 50. There is a Jackpot of 250 times the initial wager to look forward too as well. The Stacked wild card - a card with Football star logo that appears on reel 3, 4 and 5. There are more than 40 of these cards on the reels. They can be used as a substitute for all other symbols except the whooshing football scatter to make a winning combination. The Striking Wild feature - This is randomly triggered and can turn the reel wild at any time. At this time it is possible to get 40 wild cards. During this feature the rolling reels feature becomes inactive. Free spins - Based on the number of scattering cards (the football card) you can get any number of free spins. A minimum of 3 scatters cards will get you 15 free spins. 4 scatter cards will get you 20 free spins and 5 scatter cards will get you 25 free spins. 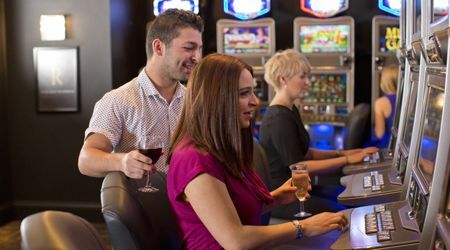 The best part is that you get to keep what you win free spins. Cascading Reels - This comes into play during the free spins. It helps you get more winning combinations and earn a multiplier of 10 for your rewards. Collapsing reels - The symbols that form the winning combinations tend to disappear and new symbols take its place forming new combinations. At Strictly Cash, the Football Star keep what you win free spins slots game has seen an average Return to player (RTP) rate of RTP 96-97%. So as a player, there are higher chances that you get to keep what you win with free spin. 125 times your wager - when you have 5 referee cards. Enjoy your gaming in keep what you win free spins Football star game at Strictly Cash.